Did you know people who are blind can also cook? 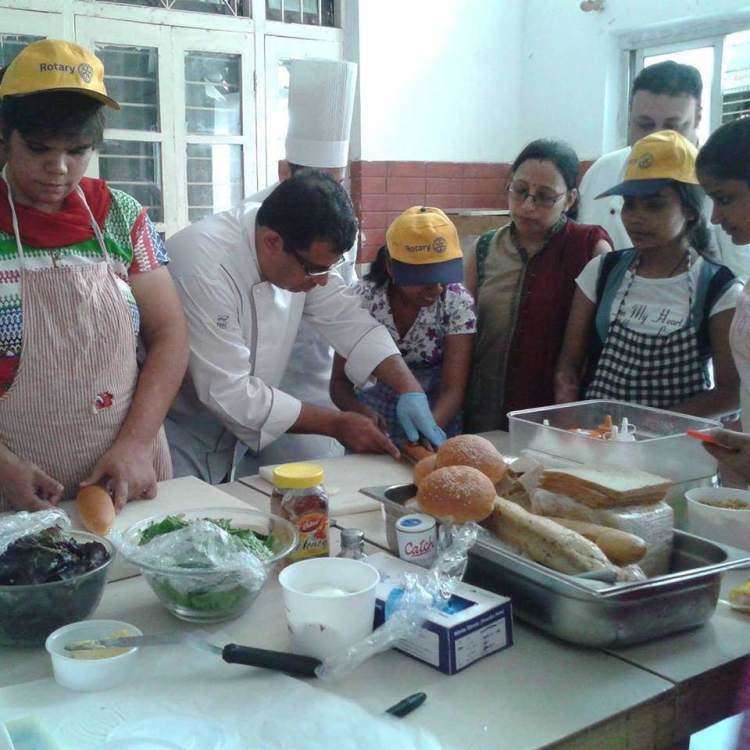 Well then let me tell you they can and really well…Want to check it out, come to our own small kitchen at Hauz Khas, where blind girls can be seen anytime learning to cook, with their queer ways of measurement, testing and timing with other senses. And now we want to train them to open their own enterprises! We want to train them to run canteens. For that we need to have a canteen at centre run by our blind girls for serving the volunteers and staff. And we need to raise some funds for that. Your support will give them confidence to lead their lives like any other individual in this world. 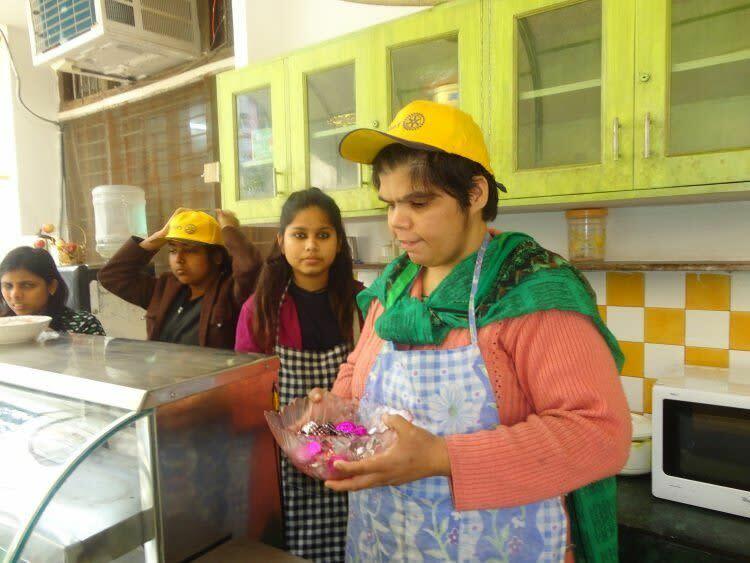 We are pleased to inform you that with your support, NAB has managed to train blind girls in their Centre to cook and serve food at a small café in New Delhi. This café has soon become popular for its scrumptious food. An advanced cooking module to develop advanced skills in food preparation and cooking was created. The next step for these girls was to gain professional exposure and learn soft skills so that they can manage relationships with customers and run the café on their own. 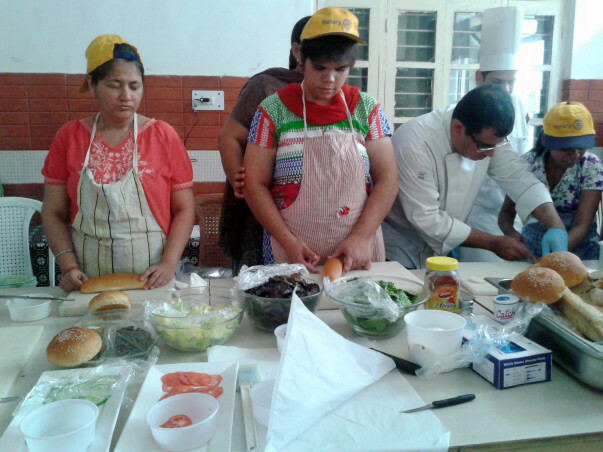 The selected group of blind women needed professional training, which was not an easy task. Shalini Khanna, Hon. Secretary, NAB India Centre for Blind Women and Disability Studies and her team ensured that the trainers prep these women to take charge of their lives through their work at this café. Although it began as a high-risk experiment, it ended up turning into a socially responsible and successful enterprise. The girls have received support and training from Taj hotel Chief Chef Arun and had the NAB Centre collaborated with several Barista outlets in the city. Because some of these girls have excelled at cooking over time, NAB is now grooming them to work outside the café at Barista and other restaurants. They are being encouraged to hold their own in larger spaces. 2-3 of these girls have been selected for on-the-job training at various Barista outlets and another girl works with a tiffin service company in New Delhi. “The girls now wish to now take orders from small organizations as well as corporates and take their café to the next level,” says Shalini. The success of this project has not only helped them become financially independent but also boosted their confidence tremendously. The team and beneficiaries at NAB have expressed their gratitude for your support and have promised to inform you of their progress.